Kim Kardashian is many things – entrepreneur, fashion icon, beauty mogul, reality TV star and producer, wife and mother. But one thing you may not know about Kim K is that she has an A+ sense of humour. In fact, she even tried to tell you once. 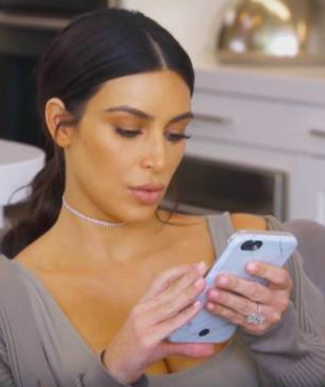 Well, last night after the latest episode of Keeping Up With The Kardashians aired, someone on Twitter pointed out that Kim seems "self absorbed" on the show. Tbf, you can kind of see what they mean. She does spend quite a lot of time on her phone and/or talking about herself. But she does also do a lot of really good things for other people, too. Many celebrities would've been annoyed or just hit "block." However, Kim took the opportunity to prove that she doesn't take herself too seriously and is more than willing to roast herself. So she responded with this. And people loved her response. However, someone did come to her rescue with this anecdote.